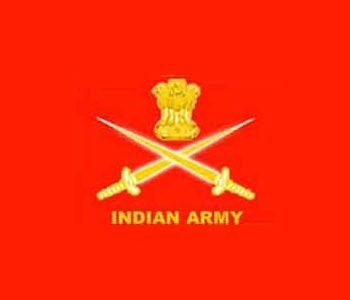 BE/ BTECH required in Indian Army. Last Date: 26 October, 2011. Disciplines Required: Civil, Mining, Construction, Electrical, EEE, Mechanical, Industrial, Automobile, Aerospace, Satellite Communications, Rubber Technology, Plastic, Textile Technology, Electronics, Electronics and Instrumentation, ECE, Electronics and Telecommunication, Architecture, Biotechnology, Computer Science, IT. Posted in Aerospace, Apply online, Automobile, Biotechnology, Civil, Computer Science, Construction Engineers, Electrical, Electrical and Electronics, Electronics and Communication, Electronics and Instrumentation, Electronics and Telecommunication, Government Job, Industrial, Instrumentation, IT, Job After Btech, Mechanical, Mining, Plastic Technology, Rubber Technology, Textile Engineering. 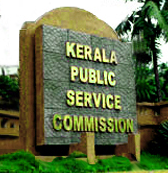 Tags: 2011., Apply Online Up to: 26 October, Engineers recruitment, Govt. 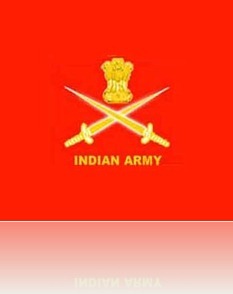 jobs, Indian army, SSC (Technical) on October 3, 2011 by kavita joshi. Posted in Aerospace, All Branches, Any Stream, Architecture, Civil, Computer Science, Construction Engineers, Electrical, Electrical and Electronics, Electronics and Communication, Electronics and Instrumentation, Government Job, Industrial, Instrumentation, Job After Btech, Manufacturing, Mechanical, Metallurgical, Plastic Technology, Production, Rubber Technology, Textile Engineering, Without Experience. Tags: Goverment jobs, Indian army, Indian army TGC, june 2011, Permanent Commision on June 13, 2011 by kavita joshi. Vikram Sarabhai Space Centre (VSSC), is the largest establishment under the Indian Space Research Organisation (ISRO), Department of Space. VSSC is engaged in the development of Sounding Rockets, Launch Vehicles, Spacecraft Subsystems and other Space related fundamental research activities. VSSC is the lead Centre for carrying out all the major Launch Vehicle Projects of ISRO such as PSLV, GSLV, GSLV MkIII, Re-usable Launch Vehicle (RLV), Space Capsule Recovery Experiment (SRE) and advanced missions such as Inter Planetary Missions, Manned Mission and First Indian Moon Mission (Chandrayaan-1) etc. The multi-disciplinary responsibilities entrusted with VSSC offer challenging career opportunities to bright and result-oriented Graduates/Post Graduates in Engineering/Science, who are capable of executing time-bound, state-of-the-art tasks of national importance in various positions. The selected candidates will be posted to work under the guidance of experienced senior Scientists/Engineers at VSSC/ISRO. Qualification: ME/ M.Tech (Mechanical) Engineering with specialisation in NDT with minimum of 60% marks or CGPA/CPI grading of a minimum of 6.5 on a 10 scale or equivalent. Posted in Apply online, Electrochemical, Government Job, Job After Btech, Jobs after ME/ MTECH, ME, Mechanical, Mtech, Polymer, Rubber Technology, Scientists Job. Tags: 2010, Apply Online Up to: 24 December, December 2010, Government Jobs, Indian Space Research Organization, ISRO, recruitment, Scientist/ Engineer, VSSC on December 13, 2010 by kavita joshi.